The theme of this year's Bangkok Design Festival is Art In The City. 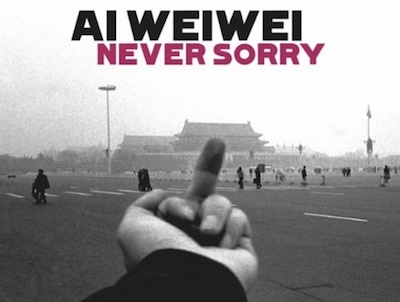 The 2012 Festival is bookended by screenings of Alison Klayman's documentary Ai Weiwei: Never Sorry, at SF World (CentralWorld): the film will be shown on the opening day (today) and on the closing day (28th November, with a introduction by the director). [Tickets for both screenings are already sold out.] Also as part of the Festival, the Museum of Contemporary Art will host a guided Design Tour on 17th and 18th November.